Hey there, I'm Josh Millard. I'm an artist and an internet person. I own and run the long-standing community website MetaFilter. It's a good place on the internet, and very important to me; it gets all the web attention that my personal stuff (gestures around) doesn't. That's an okay tradeoff. I go by cortex there, and in some other places. Otherwise I mostly just go by "Josh Millard", or joshmillard, or suchlike. I paint. I have finished oil paintings up at art.joshmillard.com, and I post much of my finished and work-in-progress art on my instagram, @josh_cortex_millard. I also make small laser-cut geometric art tiles. You can see, and buy, those at cortexcraftworks.com, or rather at the Etsy store it currently forwards to. I also make music, sometimes; I also make video games and art, sometimes. I also make puns and jokes and the occasional angry rant on twitter, @joshmillard. Likewise on Mastodon. I care a great deal about the quality and nature and history and future of the internet. Most of that goes into my work at MetaFilter. In the future I'd like a little more of it to go back into blogging, but right now I'm between blogs. I used to have more stuff online; here's what happened there. You can email me at josh@joshmillard.com if you like. 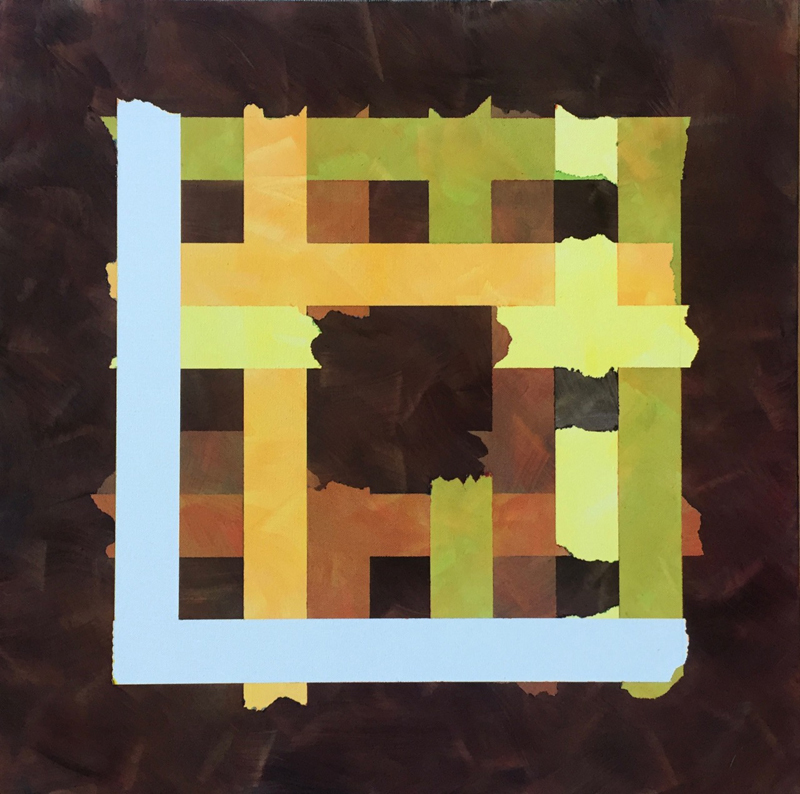 Accumulating Sierpinski Carpet, Josh Millard, 2017, oil on canvas 24"x24"